Since 2000, the average monthly cost of oral cancer drugs went from $1,869 per month to $11,325 per month. Some of these drugs can extend a cancer patient’s life, although paying for the drugs may drain their life savings. 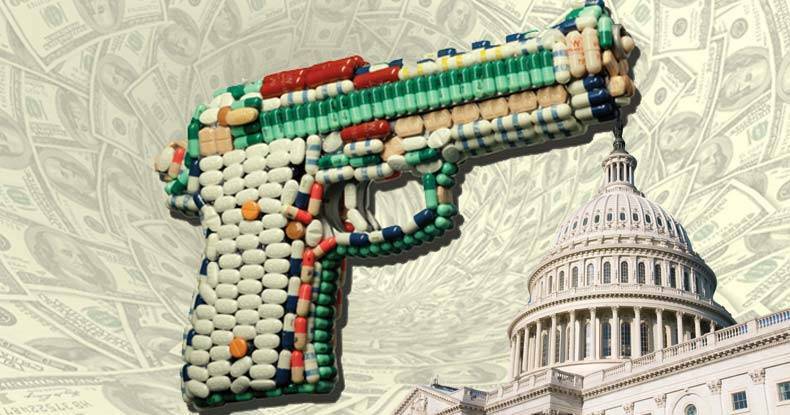 As we are well aware, pharmaceutical corporations are major power players in Washington, teaming up with government to squash competition through patent monopolies and fleece the public. The U.S. is one of only two countries where “direct-to-consumer” drug advertising is allowed, and the effects are plastered all over American TV. The investigation is titled Twenty-Five Years of Pharmaceutical Industry Criminal and Civil Penalties: 1991 Through 2015. Valeant exemplifies the racket that has been going on for years between Big Pharma and government. As pharma companies rake in profits, including through the use of deceit and fraud, they make payoffs to government in the form of “penalties.” Government proudly says it is holding pharma companies accountable, but no one goes to jail and the companies continue deceiving and defrauding. “The report explores several possible reasons for this drop in settlement activity. The possibilities include a decline in federal enforcement; a shift in the focus of federal prosecutions away from off-label marketing and toward other forms of illegal activity, as alluded to (PDF) by U.S. Department of Justice officials in 2012; changes in state Medicaid pharmaceutical reimbursement strategies; and shifts in industry marketing strategies. The U.S. has a long tradition of propping up robber barons to help run the corporatocracy. Pharmaceutical companies—along with the military-industrial complex, fossil fuel companies, biotech companies like Monsanto, and others—are now essentially part of government. The scheme exposed by the Public Citizen report is but one example of how corporations and government engage in a racket to prey on the public.